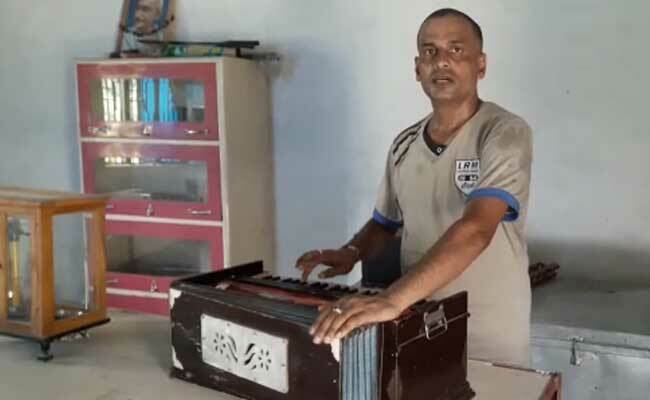 In the Bihar topper scam case, Ganesh Kumar, who topped the class in the 12th examination of the Bihar Board, has passed from Ramanandan Singh Jagdish Narayan Inter School, in Tajpur, Samastipur district. He secured 65 out of 70 marks in the Practical examinations of Music and 18 out of 30 in the theory. Earlier BJP was raising the issue and asking for indepth probe but now they are on backfoot after reports, as surfaced, that main accused, Jawahar Prasad Singh, had contested twice from the BJP ticket. Police, so far, have arrested five accused including Ganesh Kumar in the case. Search is bagun to trace father and son duo, Jawahar Prasad Singh (school secretary) and his son Abhitendra Kumar Singh (principal) of the school. Both were declared absconded. As reported, Jawahar Prasad Singh had contested two consecutive elections from Kalyanpur assembly constituency in 1985 and 1990. He was also participated in the 1974 JP movement. As reported, many BJP leaders including Bihar BJP president Nitinand Rai knows Jawahar. Last year, when topper scam broke into news in 2016, JD(U) had expelled Usha Singh from the party for six years. She was expelled on the demand raised by the BJP. He repeatedly kept saying ask me question from Question Bank. As reported, when he was asked to answer the question by the reporter, he openly said, ask me anything from the question bank. Ukarsh Kumar Singh, ABP News, took the interview of Ganesh Kumar, he exposed the scam. We must also check out his personal views as reported by NJ.